Working on a legacy application? You want to add new features or fix bugs and for that you first need to understand how the application works. It is not a small task, especially when you just joined the project, the documentation is not up-to-date, and experts have long gone. The tools you have always used (reading code, adding print statements, and the debugger) are showing their limits. This is why we created Flow, a tool to help developers better understand the structure and the behavior of their applications. Find and install the plugin from IntelliJ plugins repositories or download it from the website and install it from disk. Flow starts automatically at the startup of IntelliJ and you will see a message in the Event Log. 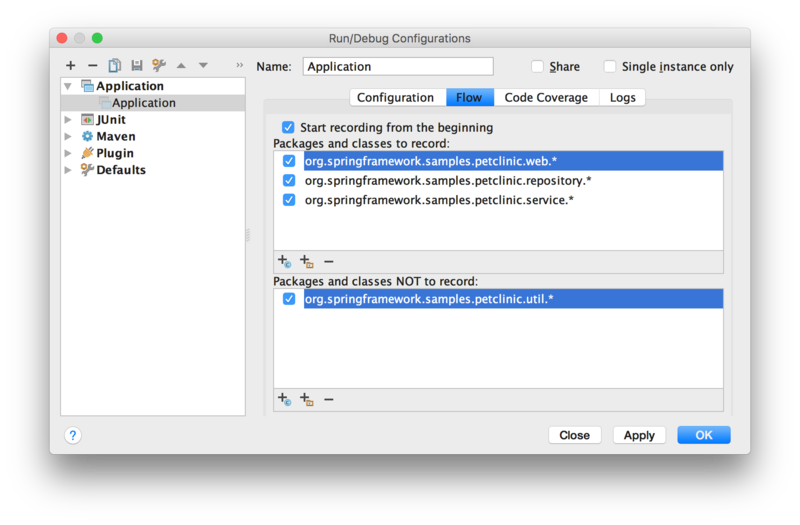 Once the plugin is installed, you will find a "Flow tab" in the Run/Debug Configurations where you can include or exclude the packages that you want to record. You can launch an application with Flow by using the record button in the toolbar. Open the Flow webapp running locally. You can see all the running executions. 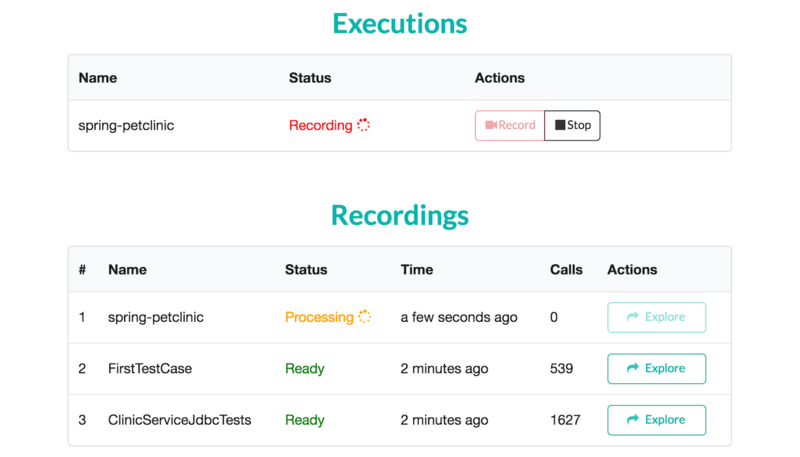 You can manually start and stop recording an execution. 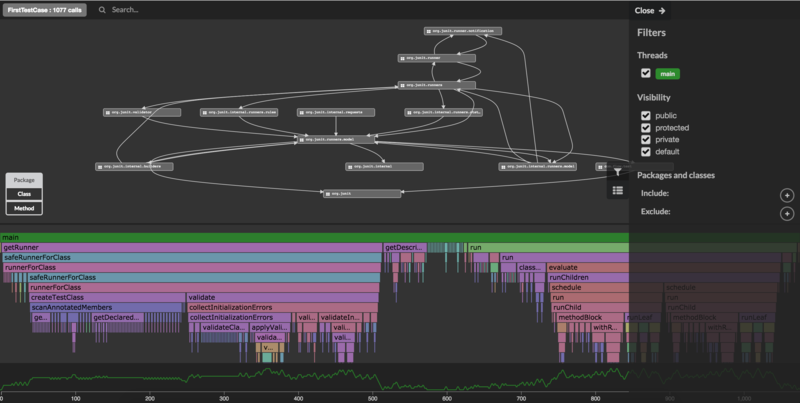 When a recording is ready, you can explore it visually. You can interact with the visualizations by zooming, filtering, searching and selecting different elements. Everything is synchronized. Does Flow expose sensitive information such as source code and execution traces? No, source code and execution traces stay completely safe and confidential. Flow runs and stores data locally on your machine. Nothing leaves from your machine. Not at the moment. But we are thinking about open sourcing some parts of the product. Is Flow free to use? We are still figuring it out. But there are great chances that we'll always offer a free version. Does Flow alter the behaviour of my application? No, your application will run as before. However it may run slightly slower. I don't use IntelliJ, can I still use Flow? IntelliJ plugin is the first integration of Flow but we are going to support more development environments in the near future. Let us know what IDE you use so that we can release an integration for your environment soon! we can discuss face to face through a BBL! © 2016 Flow. All rights reserved.